MR. STEAM LLC is not a franchise. We are a locally owned, fully insured, family run and limited liability corporation Carpet, Rug and Furniture Upholstery Cleaning Service Company. We have proudly served over 50,000 Madison and Dane County, Wisconsin homes and businesses for over 40 years. Try us… You’ll like us! MR. STEAM LLC is the local leader in the professional Carpet, Rug and Furniture Upholstery cleaning marketplace. We got here by using exactly the right cleaning products and Methods that deliver the highest quality cleaning results time after time on all types of carpets, designer area and oriental rugs, and the latest wet-washable furniture upholstery fabrics. We use only the most powerful professional quality Stain Removal and Odor Removal products available to the carpet and upholstery cleaning industry, and we offer a Best Results Guarantee to back our pledge of excellent results and service. Read what our customers say and pay. More About Mr. Steam. MR. STEAM LLC delivers prompt and professional Carpet, Rug and Furniture Upholstery Cleaning Service to the over 1200 happy residential and commercial customers served annually throughout Madison, Dane County and beyond. 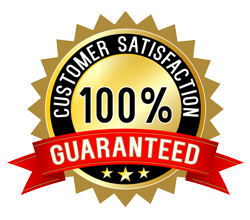 We’ll do everything in our power to add your name to our Happy Customer Reviews. MR. STEAM LLC WILL REFUND YOUR MONEY! If you have any questions or doubts about the cleanability of your carpets, rugs or furniture upholstery fabrics, MR. STEAM LLC will come to your location at no charge and give you our best professional opinion of expected results and a free demonstration or test cleaning. "They did such a great job on my carpet and area rug! Easy to work with, great communication and price point. I highly recommend, will contact them in the future." "They're awesome! They care about a customer being happy and doing a fantastic job! They came back because I did not communicate well what I needed. You will not be disappointed." "Wonderful service! Great communication prior to the appointment, timely, & chipper interactions. We've had another company clean our furniture before & it didn't look nearly as fresh afterwards. Our area rug & 10 year old sectional look practically new. I will definitely use them again." "Prompt service and excellent eye for detail! Was willing to come to my place on very short notice and was so friendly! Highly recommend! "We had a major mess on our white carpet and Mr. Steam was able to get here within an hour (on a Saturday!) and save our carpet. Professional, thorough, and the price was very fair for day-of service like this! I’d definitely recommend to others!" "Dennis at Mr. Steam saved the day when I had a very unfortunate experience with an unethical competitor today. After the other guy cancelled on me via text and informed me they wouldn't honor my Groupon, I found Mr. Steam and Dennis got here within 90 minutes to take care of my carpets. He did a great job and the carpets look 100x better than what they were. I highly recommend. The same day appointment and service was unexpected and a welcome remedy to the terrible way I started my day with "the other guy." "Mr. Steam has been cleaning our carpets for at least 15 years and has always done a great job, as well as being kind, courteous and efficient. Last week's cleaning, however, was a new high! Over the past year or so since our last cleaning, our new-to-us rescue dog who was not well house-trained, had soiled the carpet quite a few times. Despite my best efforts at damage control, stains remained. In came Mr. Steam, however, and--all gone! I've never enjoyed looking at our carpets with more satisfaction." "Dennis came within two hours of us calling to have our sectional cleaned! He was very thorough and prompt and polite! Best service and we appreciated the great job he did! Thanks Mr. Steam!" "On time, hard working and careful. Cleaning done to our satisfaction. We recommend." "I had a dining room chair that ended up with a blood stain on it. I tried cleaning it myself, leaving a huge water stain in its place. I called on Monday morning and Dennis came out within 2 hours. He let me know up front that the stains may not come out 100%, so I appreciated his honesty and transparency. He not only cleaned the one chair, but all 6. They look so much better than they have in years. I'm very grateful to have found Dennis and will use his services again soon!" "Great service! We had vomit stains on carpet and couch from one child. The next day called up Dennis and he was able to fit us in for the same day. He was professional and we were very happy with the results. I would recommend him to anyone and we will be using his services again in the future." "They did a wonderful job! Available on short notice, and the 15 yr old carpet looks almost new again. They even managed to get out stains that I was sure wouldn't budge. Priced very reasonably and very efficient. Thank you Dennis!" "Lifesaver. Called right when they opened on a Saturday morning and he was here in 30 minutes; and got rid of the stain." For the fastest possible service, or to have your questions answered immediately, STOP what you're doing this second and call or text Dennis at 608-241-1100. If I’m speaking with another customer, please leave a message and I will reply as quickly as possible. Dennis will quote you a price and offer potential appointment openings. Page Summary: Mr. Steam Carpet and Upholstery Cleaning offers the Best Carpet Cleaning Services, Low Prices, and Discount Coupons. Mr. Steam Professional Cleaners specialize in Residential and Commercial Carpet Cleaning, Rug Cleaning, and Furniture Upholstery Cleaning. Mr. Steam Cleaning Services include Carpet Stain Removal, Pet Odor Extraction, and Upholstery Fabric Spot Cleaning. Mr. Steam LLC Service Areas include all Dane County, Wisconsin (WI) communities including Madison, Middleton, Cottage Grove, Oregon, Stoughton, Deerfield, Verona, McFarland, DeForest, Waunakee, and Sun Prairie.